He ordered the 8000k version and directly replaced the stock 4300K D1S HID bulbs. Take a good look at the images below – the brilliant blue color shines brightly and remains pretty noticeable even during daytime. You will probably agree with us that the ugly yellowish look of the OEM bulbs just doesn’t fit the overall aggressive of this beautiful car. 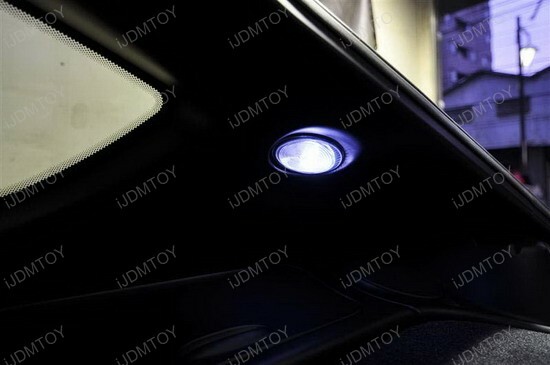 This is where we come – we offer you JDM D1S or D1R HID replacement bulbs in several colors: ultra white color (6000K), brilliant blue color (8000K), deep blue (10000K) and violet purple color (12000K) at incredible good price! This is what we call a bargain! In case you decide to purchase this add-on for your beloved car and are worried whether you will be able to replace the OEM bulbs, relax – installation is probably easier than ever. 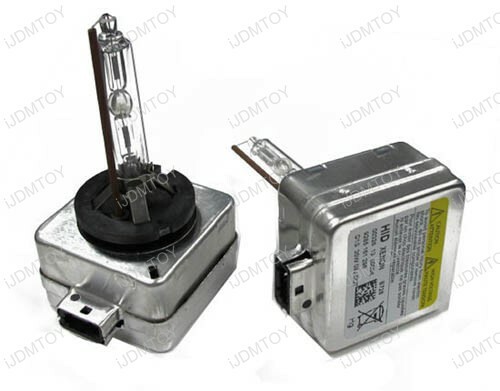 The JDM D1S or D1R HID light bulbs are direct replacement, as there is no modification needed, simply plug and play. 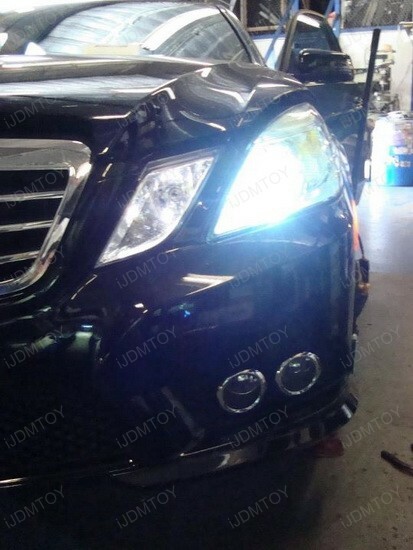 Everyone will enjoy a good looking car at nighttime, and especially this car – black Benz E350 with a hint of blue. 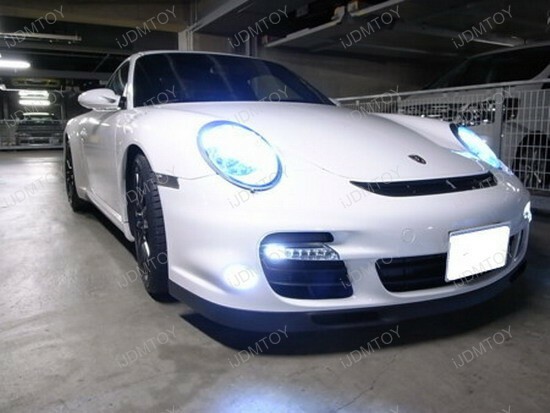 This customer was looking for a better lighting output and a more aggressive look for his ride. We think this add-on is perfect for his needs, and you saw the result. 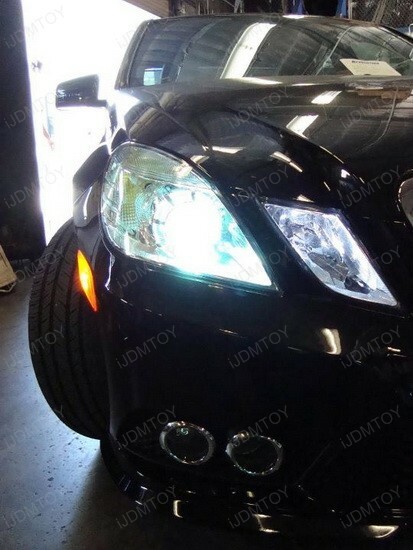 Having that "Black Beast" 2010 Mercedes E350 with 8000k D1S HID bulbs is more than beautiful – it is gorgeous. 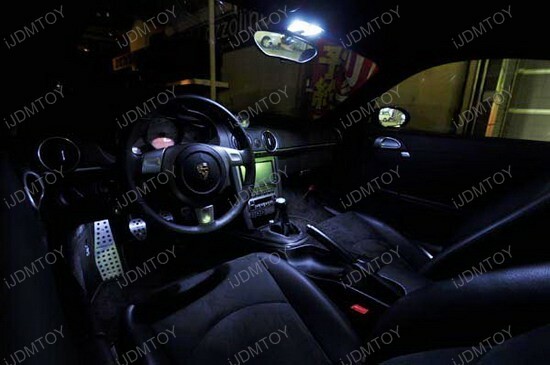 iJDMTOY recently helped a customer install LED parking lights, car interior LED lights and trunk area LED lights, as well as 8000K HID Light Bulbs For the Headlights for his Porsche 911. We used super bright Error Free LED lights for the parking lights. These LED lights are special error free T10 2825 with built-in load resistors and will not trigger an error display inside your dashboard. His parking position lights were complemented by HID Xenon headlights in 8000K to produce a nice matching color. Additionally, the customer also upgraded his stock filament bulbs to Xenon White Interior LED bulbs. 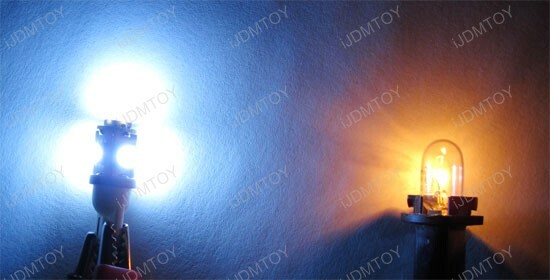 Xenon White SMD T10 LED bulbs replaces 2825 W5W with load resistors built-in. Fits in Mercedes, Audi, BMW style euro lights. 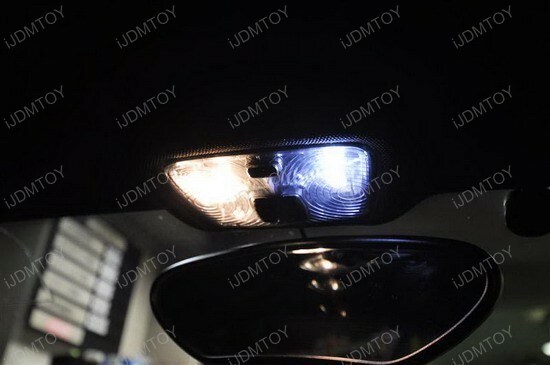 JDM 8000K D1S Xenon HID Replacement Light Bulb replaces headlight. Uses Xenon gas to project super bright intensity low beam. 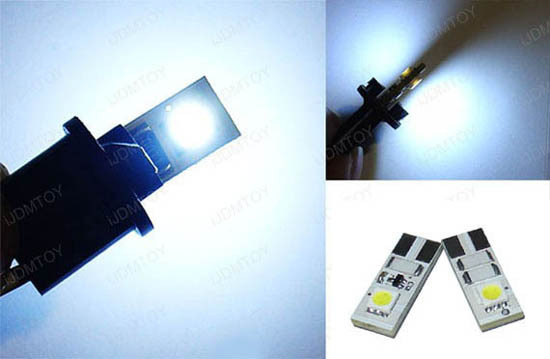 Used in interior car lighting for cargo area, map reading lights, or courtesy door lights. We hope you can compare our bulbs to standard bulbs and truly see the super bright difference! Now until July 31, 2010 – all Euro error free LED bulbs are 20% OFF. There are always deals at our store. 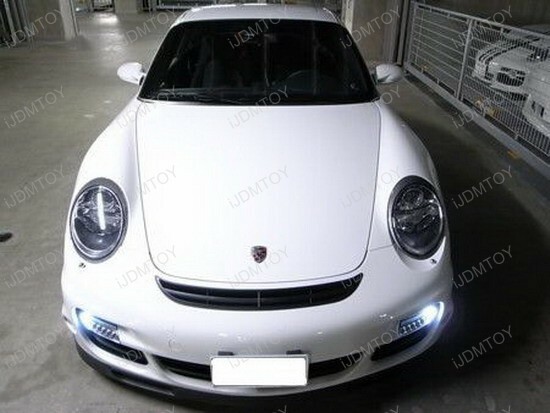 For more pictures of other LED or HID products, please view our Gallery and Picture Archive. Product installations and DIY guides are also available. We hope you enjoy this feature. 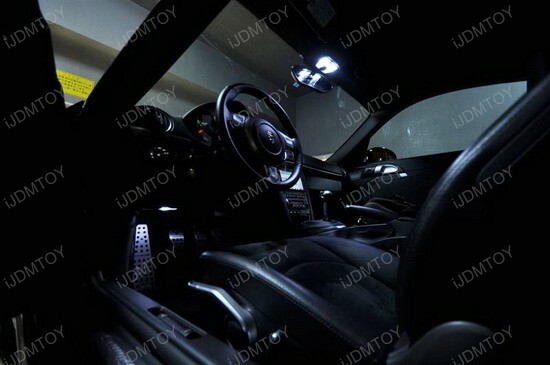 Brought to you by iJDMTOY.com, the Automotive LED Lighting Specialist.